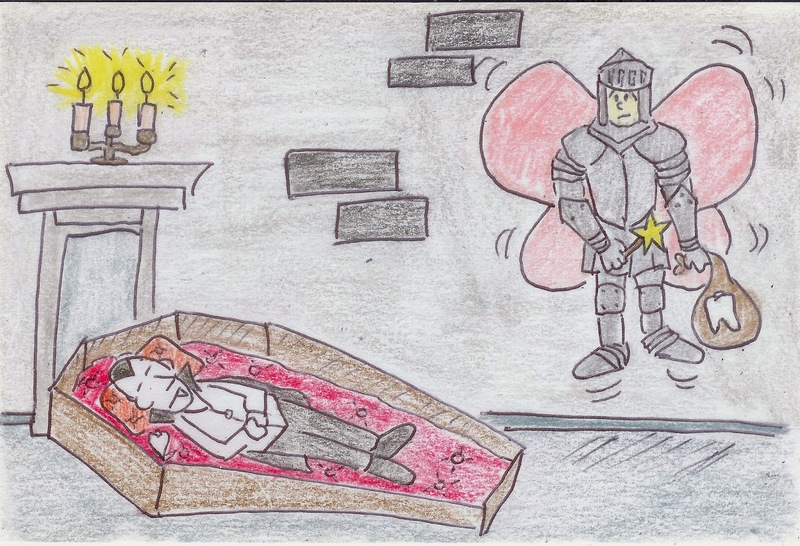 The Vampire Tooth Fairy had a difficult job. In addition to the obvious workplace hazards, when it rained her suit would seize up and she would fall from the sky. That usually meant at least three weeks of time off to get better. The fairy union had a lousy benefit package so there was no income either. That often led to Tooth Fairies getting into the drug trade. Once in, most fairies did not return to tooth collecting, other then from their meth clients.